The compelling new video, Everything Nuclear, produced by David Weisman and the Alliance for Nuclear Responsibility, is packed with... authoritative interviews of experts on the myriad problems of nuclear power. Featured here is a transcription of the highly informative speakers juxtaposed against industry promotional videos and government propaganda videos. Are nuclear reactors safe from terrorists? In October 2007, WCBSTV New York did a report showing video footage of nuclear power plant security officers nodding off to sleep on the job. The video was shot by a fellow guard at Peachbottom Nuclear Plant, located just outside of Philadelphia. An attack on a power plant could kill or injure tens of thousands of people. "Terrorists can do to a reactor precisely what an accident can, and can unfortunately do it better. Terrorists can wait for the most unfavorable meteorological conditions, like when the wind is blowing towards the populated area. Terrorists can make sure that both the primary and the secondary systems are disabled. So these are, in some sense, pre-inplace nuclear weapons for our adversary. They can't blow up like a nuclear bomb, but they can release very much more radioactivity than a classical fission nuclear weapon, and all it takes is a terrorist using conventional explosives, handguns, breaking in on the ground, or fly a plane into some of the soft targets at the reactor, and you can have an effect that is close to that of a nuclear weapon in terms of casualties. Experts tell CBS2 News radiation from a nuclear fire that starts at Peachbottom would spread and could kill thousands of people as far away as DC and New York City and it could leave 188 square miles uninhabitable. CBS news brought the tape to the Nuclear Regulatory Commission, the federal agency which overseas the nation's nuclear power plants. We're often told that containment structures are designed to withstand the attack of a, a crash of a jumbo jet and therefore not to worry, and that's false for several reasons. First of all, the Nuclear Regulatory Commission made that statement just after 9-11. A couple of day later they had to withdraw it and concede, with one exception, no reactor in the United States was designed to withstand the crash of a jumbo jet. So the containment structure itself can readily be penetrated by the crash of a plane. But the second reason is that you don't have to hit the containment structure. There are soft targets outside the containment: control rooms, spent fuel pools, many other structures that are necessary for the safe operation of the reactor. And so, you could have TEN Chernobyl's worth of radioactivity released from a spent fuel pool and each Chernobyl's worth is a THOUSAND times the longlife radioactivity of the Hiroshima bomb, and the only way that we prevent that is that the cooling is ALWAYS OPERATING. That means you have to have the off-site power coming into the reactor to run the pumps. It means that you cannot have failure of the pipes which contain the cooling. What's simply going on is the NRC and the agency don't want to spend the money to protect the reactors, and at the same time they're worried that if they explain to the public that these are dangerous and therefore that they have to fix them, then it will undercut support for building new reactors. Do the French "recycle" all their nuclear waste? "There's a growing consensus that nuclear power is a key part of a clean secure energy future, yet America has not ordered a nuclear power plant in decades. France, by contrast, has built 58 plants since the 1970's and now gets 78% of it's electricity from nuclear power." Just eleven miles from where I'm standing here in Albany lies the giant French reprocessing facility at Le Hague. Our activity, in fact, consists in receiving the used fuel elements from the power station, from the power plants, then our task is to separate the material which is reusable, mainly uranium and plutonium from the final waste. One does hear that the French nuclear program has not only solved the waste problem, but somehow transmogrified the waste into a new fuel and so they really have an advanced nuclear cycle under control, but that's just not the case. The French nuclear waste problem remains as great as ours. Reprocessing only takes the plutonium and uranium out of the waste. All of the other highly radioactive, highly hazardous elements, that constitute about 96% of the waste, still have to be disposed of. Reprocessing is a hard technology to control environmentally because you're chopping up the spent fuel rods that are full of highly radioactive elements, and you're turning loose a lot of gasses and liquids that want to go somewhere. The British have had a lot of trouble with leakage from their reprocessing plant into the Irish sea, and the French are said to have had problems of that kind as well. "Even a recent UK government report concluded, "It is generally agreed that a thorough analysis the hazard posed by the ____ La Hague site cannot be carried out using the information available in the public domain. As with "CELLAFIELD" such information is classified. The only reprocessing plant that ever ran in the US, West Valley in New York, was shut down in large part because of it's environmental problems in 1972, and it never reopened. They just couldn't get it up to standards at a reasonable cost. The costs of the French reprocessing program are hidden in the French budget. They aren't all paid by the customers, and that's the way that the French are able create the impression of an economic and self-sustaining fuel cycle complete with waste disposal, but in fact they have none of those elements. Has anyone ever been killed by nuclear power in the United States? In January of 1961, the SL1 reactor in [Idaho Falls] Idaho was being restarted. It had been shut down for about two weeks for the Christmas holidays and for some scheduled maintenance. So shortly after the New Year, workers at the plant were readying the plant to be restarted the next day. At about 9 PM, on January 3rd, 1961, all the remote sensors at a control station in Idaho away from the reactor sounded. The fire trucks and the responders went to the site and what they found was the reactor had blown up. They initially found two of the workers near the reactor top, near where the explosion occurred; one of them was dead and other one was in a very bad way. It took 'em some while to get him out because the radiation was so high but he died on his way to the hospital. It took 'em a while to find the other third worker at the site. Then somebody looked up at the ceiling, and found him impaled by a control rod that had been ejected during the explosion from the reactor core, had penetrated his body and stuck him like a butterfly, pinned him to the roof of the structure, and he was obviously dead. It's known what happened at SL1: the reactor exploded. It's not known why it happened, because every single worker at the site died. That plant had had problems with sticking control rods because there was material inside the reactor that was breaking loose and gumming up the works. So, workers had got into the habit of exercising the control rods, which was to manually lift them up, move them down, lift them up, move them down, and try to work out some of this gunk, but he actually moved it far enough for the reactor to go critical. That much energy produced in a short period of time vaporized the water, created the steam explosion. The steam expansion blew the lid right off the reactor vessel. One of the workers is buried in Arlington cemetery. We often hear that nuclear power has never killed anyone. I've taken people to the grave site in Arlington where this one worker is buried; full honors. It takes permission from the Nuclear Regulatory Commission to exhume that body from that grave. He's buried under three feet of concrete because his body is so radioactive that it would harm anybody else to come in close proximity to him. So the argument that nuclear power has never harmed anybody is belied by a simple trip to Arlington cemetery to look at that grave site. You can't make that trip and come away not believing that nuclear power is something that you can't turn your back on for a second, because it doesn't take a second for it to kill you. Part of this total protection effort is the testing of shipping containers: casks designed to carry radioactive materials. A truck carrying a 22 ton spent fuel cask impacted a 690 ton concrete block at 60miles per hour. The cask sustained so little damage, it was cleaned up and impacted a second time, but at 84 miles per hour. The cask also survived this more violent crash with only minor damage. I'm sure most of the people in the country, at least of of us a little older, have seen these Sandia crash test films that they use as propaganda to show the trains and locomotives running into these things. And there's a couple problems there. One is that there was no fuel in any of these things obviously. Secondly, what they don't tell you on the films is in three of the five stress tests, the casks actually failed and would have released the radioactive contents if they had them. In fact, the people that were making the film said "These cannot be use to demonstrate cask safety. They are merely computer simulations to help us calibrate equipment so that we could measure these in the future", yet the industry and DOE uses them as the ultimate "transportation of safe weapons" when the films are phony to begin with. The same casks were then positioned over a pool of jet fuel and subjected to an engulfing fire. Surface temperatures exceeded 1400 degrees Farenheit and there was no evidence to indicate that even the combination of the crash and fire would have released excessive amounts of radioactivity into the environment. Now DOE has a study out, if 1 percent of the material on transportation cask leaked , it would contaminate up to a 42 square mile area, and cost in the neighborhood of billions to clean up. We know that some of the DOE transportation routes and even some of the information we have on routing have appeared on what the FBI calls Middle East terrorist web sites. They are very knowledgeable of Yucca Mountain. They're very knowledgeable of the shipping campaign that's going to take place or could take place. Scientists spent years trying figure out what would happen to a shipment of nuclear waste in a big accident. Tonight Dan Burns has details of a test to find out if a nuclear cask can survive the toughest test of all. Scientists at Sandia Labs in New Mexico smashed a nuclear fuel cask on a truck into a wall. But in one test, the cask proved to be a clear failure, a terrorism test. One of the casks that was in fact in the films that we've seen used as a target for the attack. It was determined that it was possible to penetrate the cask. A hole was produced in the cask about an inch in diameter that would have let out some very small fraction of the contents of the cask. There is a problem here and the issue really is that if your bathtub here is overflowing, rather than bail it out, you assume that you want to stop the water first and then you figure out how to bail it out. But no, we're in a country where we've got the water flowing full force and yet we're using a thimble to try and bail it out and it really has to do with the lack of foresight and kind of thinking this whole problem through and ahead, and what would be the risk of nuclear energy versus not pursuing it? What are the byproducts? How do we manage those? And clearly this whole process has not been very well thought through. It began as a promotional exercise to rationalize nuclear weapons. It's grown now into it's own industry. Even though its been in place 30 or 40, 50 years, all of those questions still remain that there is still not a solution to the waste problem. Can nuclear power address climate change quickly and on budget? The greatest concern about the push toward nuclear power today is that it is being put in the context of solving the problems of climate change and the public is sometimes told that nuclear power is somehow a magic bullet. Nuclear industry television commercial: "We need reliable energy for the 21st century, but we also need clean air. With nuclear energy, you can have both. Nuclear, the clean air energy." When you get that kind of pressure behind nuclear power, you get pressure on the regulators to take shortcuts on safety, you get pressure on the economic regulators to assign the risks to the customers. You get pressure to overlook the alternatives that might provide as much or more of the solution at lower risks of safety and economic sort and you really are sort of recreating the climate of the 1970's. Walter Cronkite, CBS News (1979): "Good evening. The world has never known a day quite like today. The potential is there for the ultimate risk of a meltdown at the Three Mile Island atomic power plant outside Harrisburg, Pennsylvania. The nuclear safety group said that radiation inside the plant is at an eight times the deadly level, so strong that after passing through an three foot thick concrete wall, it can be measured from a mile way." There are a host of lessons to be learned from Three Mile Island and its true that there are those in the industry that say it was all good news, everything works, but it certainly wasn't good news to the financial community which saw a billion dollar asset turn into a 2 billion dollar clean up job in the space of about 90 minutes by a group of NRC licensed operators who were no better or no worse than any others, and that lesson is one of the ones that's really kept new nuclear power out of the picture for the US for three decades. The EPR, a new Framatom ANP nuclear reactor was designed by Framatom and Seimens in close cooperation with ElectriciData France and the major German utilities. An economically competitive reactor combining enhanced safety and operating conditions with greater environmental protection, the EPR will provide benefits of the most recent and proven nuclear technologies. There's a reactor in construction in Finland. It is well over budget, built by the French. The French AREVA is taking a bath on the project, because they agreed to build it for a fixed amount, and underestimated the difficulty doing so. What they have said is that they underestimated the supply chain difficulties, including Finnish regulatory issues, including the ability of contractors to build to specifications that were acceptable to regulators, including the availability of skilled labor. They started construction before they completed design because it takes a lot of money to complete the design before you actually start construction, and that's an old story. It's obviously being repeated even though we have a so-called "standardized" design. That's what the trade press reports. Currently they are planning to eat $700 million to a billion dollars. The investment community has lost confidence in the ability of utilities to control costs on nuclear construction. It's been the Achilles heel for the industry, is that that you had both very long lead times and often plants took twice to three times as long to build. One area of concern is concrete at the Watts-Barr nuclear power plant near Knoxville. A recent report obtained by ABC News concluded that there had been "inadequate concrete control". In some cases the concrete used in the reactor and containment buildings was less than half the strength required. They plan to build them in eight years. I think the last plant that actually went online, Watts Barr at the Tennessee Valley Authority, took 26 years to build. Diablo Canyon started construction the same time as Rancho Seco but didn't get into operation until the mid-1980's. So there's a loss of confidence by the people who are putting in the money and expect to earn a return on the money, both on the ability to complete the plants in the time frame and to control the costs. I think that's the key reason why you haven't seen any nuclear plants being ordered by utilities. Even with all of the loan guarantees and the benefits now being provided by the Federal government, still no new orders in the US. An investment in nuclear power is not just made by a utility company. It's made by investors. It's made by ratepayers. But there's also an investment that society makes for the decommissioning of the plant, the waste products, that get transferred to the next generation. And so, it is not a commitment that we should be taking lightly. Is nuclear power truly "emissions free" and non-polluting? The notion that nuclear power is emissions free is probably true if one of the emissions is truth. Truth isn't being emitted when that is being said. Nuclear power plants routinely release radioactivity the the environment, to the air and to the water. They also generate high level nuclear waste that nobody knows what to do with. It's stacking up at these nuclear power plants. In addition, the biggest emission that nuclear power plants have is thermal pollution. Nuclear power plants are 33% efficient. A thousand megawatt nuclear power plant releases two thousand megawatts of thermal pollution. That's why all these nuclear power plants are on oceans, lakes or rivers. They need an awful lot of water to take away that waste heat. ABC News, 1970: The Calvert Cliffs plant will take in two million gallons of bay water a minute for cooling and the output will raise bay temperatures an average of 3 degrees over a thirty-five acre area. Power company scientists predict no harmful effect, but other claim the heated water will cause premature spawning by migratory fish, destroy microorganisms and dangerously promote the growth of algae. The Clean Water Act, the federal statute that applies to water quality standards throughout the nation, clearly applies to thermal pollution, so the scientists and the EPA and the law clearly recognizes heated discharge as a pollutant that can very severely effect and impact the environment, but in fact the EPA, which is the federal agency that implements the Clean Water Act, has not actually seen that as a high priority. You know you see these plants that are sitting there and look relatively innocuous, they don't have big smokestacks. You can't see what's going on in the water, but in fact when the public doesn't see smoke spewing out of a stack they may not be that engaged. There will be no smoke from Calvert Cliffs but it's thermal threat is viewed differently by the Atomic Energy Commission and some ecologists. It was thermal pollution that was the first reason why environmentalists turned against nuclear power. Back in the '60s, Sports Illustrated ran an article about thermal pollution from nuclear power plants would kill sport fishing, fly fishing and whatnot, and that got an awful lot of fisherman mad. We still haven't solved that thermal pollution, that thermal emissions problem. It's worse at nuclear power plants than from any other energy source. You'll hear two types of impacts talked about. One is entrainment, that is, everything at the microscopic level that gets pulled in is all destroyed, killed basically. One hundred percent mortality is assumed for all of these plants. Your typical nuclear power plant I think is a couple billion gallons a day. And the other is impingement, and that is animals killed, species killed against the screens, so they do put these screens on the intake system to try to keep big animals from pulling in, and these are big pipes, from pulling into the system, an so you have impacts on a microscopic level, impacts on the larger species. Those are taking biomass out of the ecosystem and destroying it, basically that's an intake impact in the cold water. Then you've got on the other end you have thermally heated water discharged out into the environment that, 10-20-30 degrees above the existing temperature of the water body into which it's discharged. That discharge of heated water can also wreak havoc on the species and the environment that's there because that's obviously changing the water temperature and chemical and physical dynamics of the water system. When the steam leaves the turbines, its turned back to water in a special heat exchanger called the condenser. The condenser has thousands of little pipes, just like this one. Each pipe is filled with cool water from the Columbia River. When the hot steam touches the cool pipe, it condenses back to water. There's an issue especially for plants that are located on the inland waterways where you're seeing the whole phenomena of global warming warm up the entire environment including the incoming water and so its an interesting idea that, in fact, these plants may become less effective and less efficient and less reliable. We're certainly seeing temperatures rise, problems with the fish populations there, and potential unreliability of the cooling water systems. Look what happened to France a couple of years ago when it was so hot they had to stop running the nuclear power stations because there wasn't enough water in the rivers and what little was left was so hot that they couldn't cool the reactors with it. It is a very, very tricky resource and we have to be cognizant of the impact which is the whole footprint, from extracting the resource, from keeping that fuel going, versus wind that's going to be there and there's no pipeline for fuel that you have to be worried about, or impact on the environment which you are going to have to such an extent. Solar, which is probably the friendliest energy of all. You can have a solar panel powering your home, powering your car, powering all of your tools. You can have it on your watch. You can have it on your kid's backpack. It's so easy to install. Your wife can install it. Your dog can chew on the wires. You can lift it. You can move it. You can power a village in Africa in two days and bring them to the 20th century with education, computers and health care with doctors across borders and video cameras, and we're sitting here pondering how to build nuclear power plants that take decades , and then you have to build the wire and infrastructure, meanwhile two billion people there in the sunbelt are sitting with no energy and getting poorer and poorer every day. What are we thinking and who is driving this energy process? Can renewable energy replace nuclear power? You know, the idea that there's only one measure of greenness, that there's only one way to measure the benefits of an energy technology and that how much CO2 it emits, and clearly global warming is a profound, urgent problem that we need to address right away, but to replace that problem with nuclear waste and nuclear power, I think our friends at the Sierra Club in DC I think put it best: "It's like trying to kick a cocaine habit by switching over to crack." One problem does not replace the other and it's not in the public interest, it's not wise and the good news is that we don't even have to make that choice. It's a false choice. Again, America is no longer faced with the choice of either fossil fuels or nuclear power. We have way more options at our fingertips, and frankly, we're falling behind. Other countries are seeing these other options. Germany has out passed all of the other countries in investing in and building solar power. Japan is the world's second largest market for solar power. Both of those two countries have about five times the amount of solar of just California. There's more wind in these other countries than we are developing and we have a long way to go, but the potential's there and the choice is a false one that somehow solving global warming is going to require nuclear power. It's part of our strategic plan. We have said we are not going to build another coal plant, with perhaps the exception if there is proved carbon sequestration technology that we can take advantage of. But we're not looking to coal at all. The nuclear question is difficult for us to handicap from a risk standpoint. In fact, just a few months ago we turned down the opportunity to invest in an expansion of our existing plant. We just felt from a fiscal standpoint it was too risky. A billion dollars for four hundred megawatts of electricity, the uncertainty of the permitting and construction schedule. And so really it has left us with for the time being with conservation efficiencies and our renewables. Operationally we're putting solar panels virtually every place we can. We have solar panels on our gold LEED certified City Hall. We have solar panels shading the taxi queue at our airport. We have solar panels on the top of garages and many of our roofs. Our convention center has probably the city's largest single application. Our private sector, with the help of Applied Materials, has been installing solar panels, even in public art structures. So we're doing a lot with what I call this current generation of technology but I really do think that we're going to see some significant technological advances just over the next decade and by then allows progressive utilities to bank on not having to go build another coal or even natural gas-fired generating plant. This site contains copyrighted material the use of which has not always been specifically authorized by the copyright owner. We are making such material available in our efforts to advance understanding of issues of ecological and humanitarian significance. We believe this constitutes a 'fair use' of any such copyrighted material as provided for in section 107 of the US Copyright Law. In accordance with Title 17 U.S.C. Section 107, the material on this site is distributed without profit to those who have expressed a prior interest in receiving the included information for research and educational purposes. For more information go to: http://www.law.cornell.edu/uscode/17/107.shtml. If you wish to use copyrighted material from this site for purposes of your own that go beyond 'fair use', you must obtain permission from the copyright owner. 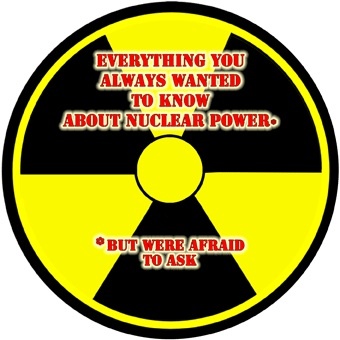 The Alliance for Nuclear Responsibility reserves the right to edit or remove any comments posted to this website. Pornographic or other inappropriate content, product or service promotion, foul language or bad behavior is expressly forbidden and will be removed without notice and users may be banned. The views and opinions expressed in the media, articles or comments on this site are those of the speakers or authors and do not necessarily reflect the views and opinions held by the Alliance for Nuclear Responsibility. The editorial staff of the Alliance for Nuclear Responsibility oversees and administers the site based on our editorial policy but should not be held accountable for all of the information you may find on this web site. The Alliance for Nuclear Responsibility does not warrant the accuracy, timeliness or completeness of the information contained. Sue Supriano, producer of Internet radio program Steppin' Out of Babylon, interviewed the highly energized David Weisman about the grave environmental and economic problems with nuclear power plants.